Four automatic water environment monitoring stations, produced by the Da Nang Center of Integrated Circuits (CENTIC) were put into operation in the central city of Da Nang on January 6. They are part of a project worth VND10 billion (US$440,000) funded by the Trung Nam JSC. The project aims to produce eight water environment monitoring stations and install them in March 29 Park, Xuan Ha A, Phuoc Ly, Bau Tram, Do Xu, extended E2 Zone and Nguyen Phuoc Tan lakes, and Phu Loc river. The system is expected to help monitor the water quality of the targeted places while supervising the quality of wastewater discharged by industrial production establishments, thus preventing pollution. Apart from using highly-precise sensors from the US’s HACH group, the rest of the system is made by CENTIC staff. 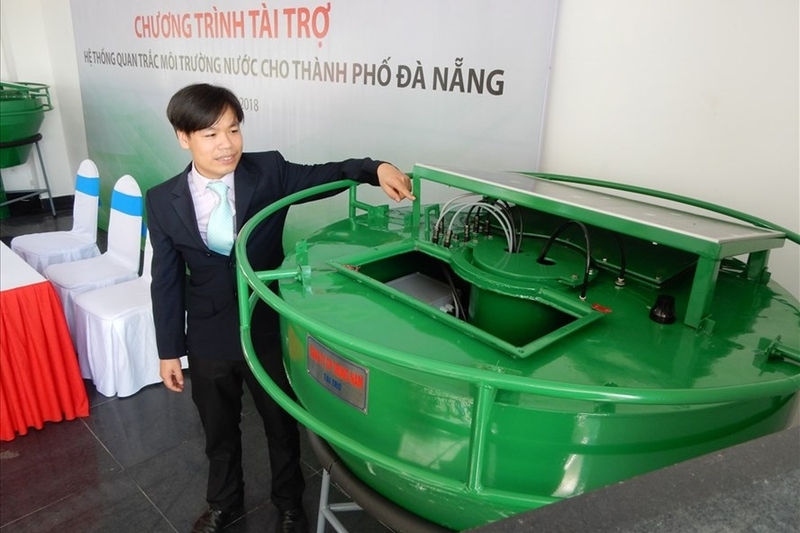 Pham Hoai Duc, CENTIC Deputy Director, said the first four stations, mostly locally made, mark an advance in the environmental protection of Vietnam in general, and in Da Nang in particular.